Sky Deutschland, a German based sister of Sky which serves Germany, Austria and Switzerland, upgraded its remote production workflow for this season of Formula One (F1) with a new version of the Reality Check Systems’ UpperCut. This is the third year Sky DE has used the technology for its broadcast, with the latest generation adding Vizrt Media Sequencer integration, allowing Sky DE’s team to load custom-built graphics directly to a laptop for instant access and playout control from UpperCut’s user interface. 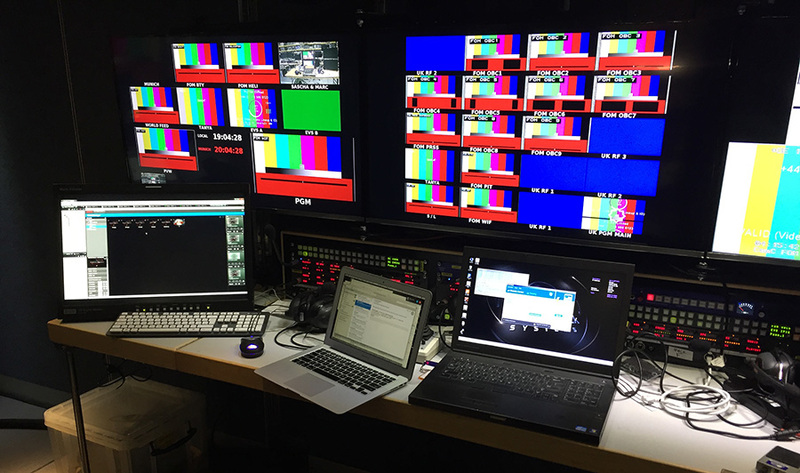 With a small footprint, the system fits seamlessly into Sky DE’s OB truck, and will facilitate broadcast of pre-, live and post- coverage for 21 F1 races this season. Sky DE’s UpperCut accommodates 10 video sources and includes proprietary RCS software, a dual-channel Vizrt Viz Engine and Trio software, a vision mixer, a laptop and a touchscreen. The binding agent, RCS’ software powers the entire workflow while minimizing the amount of hardware and manpower typically required to execute similar productions. The system’s intuitive UI ensures loaded designs and templates are automatically assigned to an appropriate playlist, giving the system operator the freedom to select and switch between various video feeds and graphics on-air in real-time. “Recent technological advances are reimagining the way the industry approaches live production, making it easier to do more with less. Working alongside Sky DE, we’ve been able to tap into these innovations to deliver a flexible, cost-efficient solution that sports broadcasters around the world could use to streamline remote productions,” said Mike Ward, managing director of EMEA, RCS.